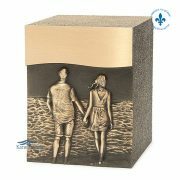 Double zinc urn with bronze front featuring a walking couple holding hands. 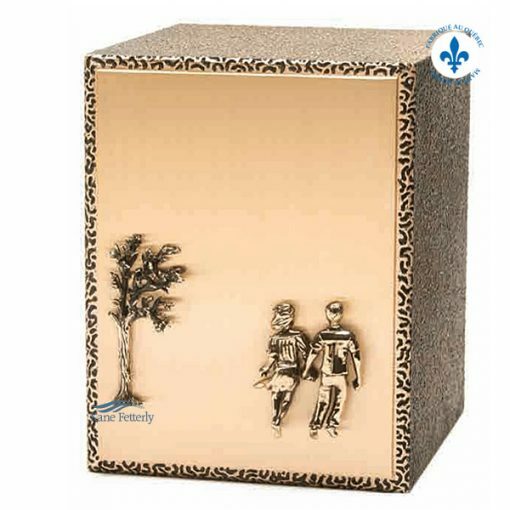 Engraving available to personalize the urn. 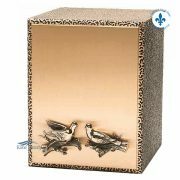 The ornaments are carefully sculpted by a jeweller, then affixed to the urn.